If you're like many young people, you spend much of your free time watching videos on YouTube, so why not launch your career there? YouTube offers internships and other career opportunities for people just starting out in the professional world. Working at YouTube is much like working at Google, its parent company. If you don't want to wear a shirt and tie every day and enjoy a challenge, YouTube will likely be a good fit for you. That's because the company offers a relaxed environment, where employees rely on their intellect, computing resources and data to problem solve. So, which traits does YouTube seek in new employees? YouTube is a fun place to work, where employees get to eat delicious food for free in the company's state-of-the-art cafeteria. YouTube also allows employees to use its beautiful pool and fitness center. If that's not enough, the company also has gardens on site and lets workers bring their dogs to work. Employees work in teams of four to six and can visit other areas of the company using strategically placed scooters. As a work environment, it's hard to beat! YouTube seeks out applicants who can think out of the box, work hard and enjoy a hip environment without losing focus of the company’s goals and the potential for future growth. Given this, it’s important to highlight how you meet its spoken and unspoken standards. The key to getting an interview with YouTube is to highlight all of your skills and accomplishments in your resume and cover letter relevant to the specific position you're applying for and the company in general. From college coursework to relevant internships, jobs or volunteer experiences, be sure to focus your resume. If you have some unique experiences such as creating a small start-up company or organizing a major fund drive for your college or community, include these experiences as well, since they shine a spotlight on your leadership abilities. First round interviews with YouTube are often done over the phone. A successful phone interview will increase your chances of being called in for an in-person interview at a later date. Depending on the job, the on-site interview will evaluate you based on the level of your skills, including coding, algorithm development, design patterns, data structures, and analytical thinking skills. Interviewers will ask questions related to your individual areas of interest. A vital element of the interview will be to evaluate your ability to analyze and solve problems in real-time. As a candidate, you can expect to talk to at least four different people ranging from management to potential colleagues. Before your interview, you should also want to brush up on YouTube's history and how the company works. In February 2005, three former PayPal employees created a video-sharing website that we now know as YouTube. 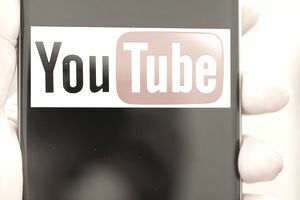 Located in San Bruno, Calif., about 12 miles south of San Francisco, YouTube is the largest of all video websites where users can easily upload, view and share videos. Videos uploaded to YouTube can be shared through email, mobile devices, other websites, and blogs, making it a fun and exciting way to share all kinds of interests and experiences. Users can create their profile on YouTube where they save their favorite videos, create playlists, and even subscribe to other people’s videos. One of the most fun and valuable aspects of YouTube is the ability to search for videos on any topic of interest just by using keywords. In November 2006, Google Inc. bought YouTube. YouTube makes its money through advertisements featured on its homepage and the videos on the platform. Making enough money to cover bandwidth costs and see a profit is one of the most significant challenges YouTube faces. The company continues to explore other options to boost its profit margin.